Karaoke Central Queensland Coast Serving Up the Best of the Best! Karaoke Central Queensland Coast pubs and clubs invite rockers, crooners, disco divas and any wanna-be stars to perform at their favourite Gladstone, Rockhampton or Yeppoon venue. The objective of the infamous karaoke scene and venues is for their patrons to have a great time with fun, a lot of laughs, continual music and of course— plenty of singing. That’s right. Karaoke is all about F.U.N. and lots of it! Karaoke is the perfect opportunity to toss back a few beers or a glass or two of wine; forget your inhibitions and proceed to embarrass yourself! Or NOT if you are a seasoned karaoke pro as then you will have practiced your song to perfection! Reality is that karaoke bars can be a giant train wreck, but hey that’s why karaoke is so entertaining! 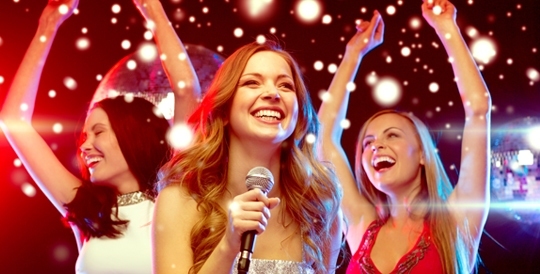 You’ll undoubtedly find the following karaoke styles and singers to entertain you. Which is your all-time favourite karaoke singer type or more importantly— which best describes YOUR particular style? Click our NEW VENUES link to submit any Karaoke Venues not listed on findakaraoke.com so that we can add them to our database. Likewise if a venue is no longer active or changes in any way please click our INACTIVE VENUES link to advise us accordingly.